These skin lesions were identified on the ear of an opossum. What parasite is most likely responsible for the dermal cysts seen? These are macroscopic cysts of Besnoitia. Besnoitia darlingi is common in the Virginia opossum and causes large skin cysts containing bradyzoites. 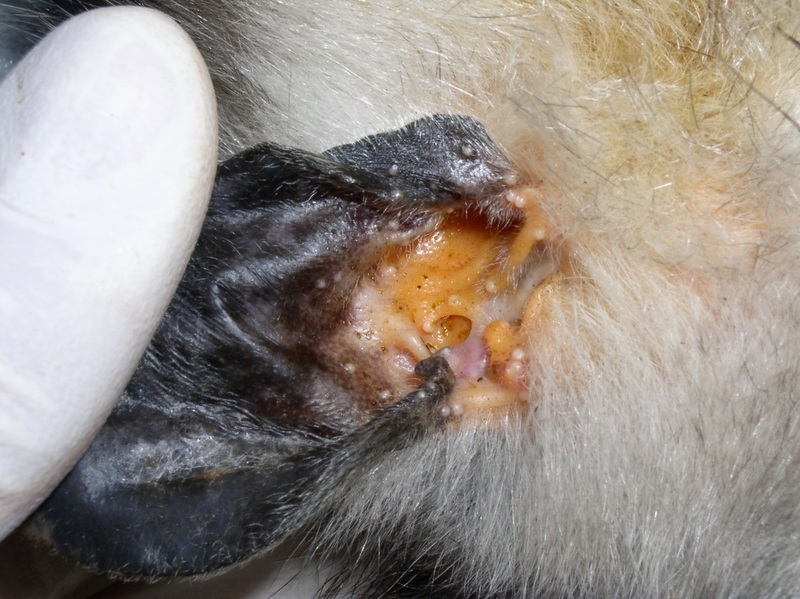 Cysts are most commonly identified in the ears of opossums collected in the summer months. Infection is often well tolerated, but clinical disease, including anemia and renal damage, is commonly reported, particularly in debilitated opossums. Thanks to Dr. Michael Yabsley, University of Georgia, for sharing this image.